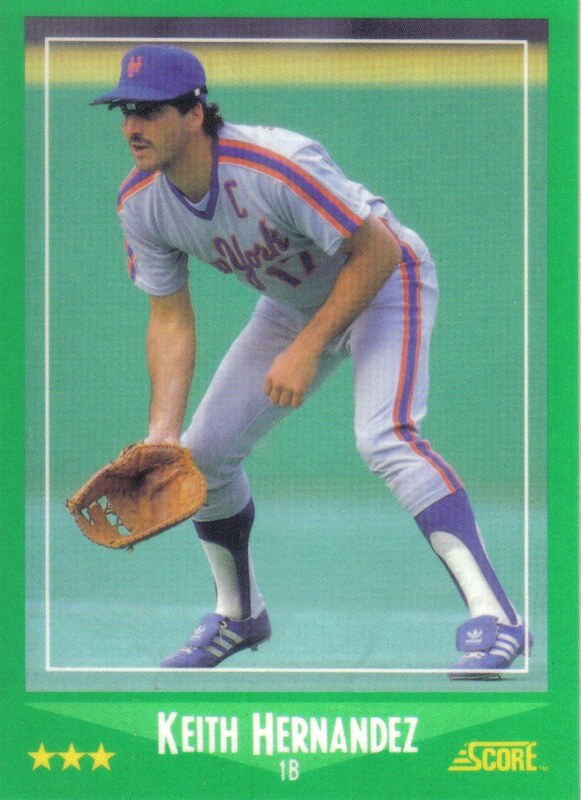 Over the years, Dwight Evans has been viewed by many as one of the best players to fail to be voted into the Baseball Hall of Fame. Evans, nicknamed "Dewey," played from 1972 to 1991 and spent most of his career as a right fielder for the Boston Red Sox. Having been retired for more than twenty years, Evans became eligible to be included as one of 12 candidates on the recently released Expansion Era Hall of Fame ballot. Unfortunately, the Historical Overview Committee that selects the candidates for the ballot passed over Evans. The Committee added just five new candidates--Tony LaRussa, Bobby Cox, Joe Torre, Dave Parker, and Dan Quisenberry--while choosing to bring back seven holdovers--Marvin Miller, George Steinbrenner, Billy Martin, Steve Garvey, Dave Concepcion, Ted Simmons, and Tommy John--from the previous Expansion Era ballot. Of the five new candidates, three--LaRussa, Cox, and Torre--were on the ballot for their managerial career while Parker and Quisenberry respectively represented the only former hitter and former pitcher added to the ballot. Not surprisingly, LaRussa, Cox, and Torre--the third, fourth, and fifth-winningest managers of all-time--were elected to Cooperstown, while none of the candidates drew more than 37.5% of the vote. By not selecting Evans for the ballot, the Committee overlooked a player with a strong Hall of Fame case underscored by sabermetric statistics finer than any hitter on the Expansion Era ballot and on par with the right fielders he played alongside who are already enshrined in Cooperstown. Evans retired with 385 home runs, 1,384 RBI, and 2,446 hits--career batting totals strong enough to warrant serious consideration for the Hall of Fame. In addition, Evans possessed one of the most feared throwing arms in baseball history and, with eight Gold Gloves to his credit, had fielding accomplishments that--combined with his impressive hitting statistics--should have put him over the top with BBWAA Hall of Fame voters. 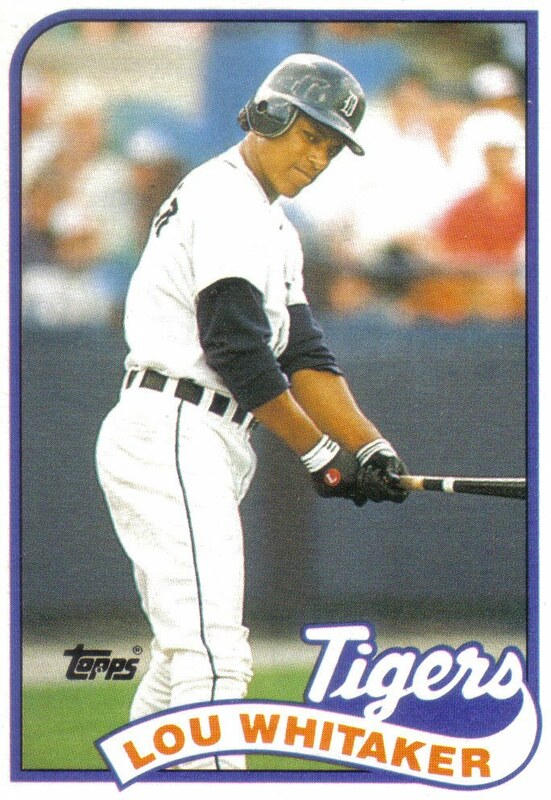 However, when he made his debut on the BBWAA Hall of Fame ballot in 1997, Evans' support was sparse, mostly because of his adequate but unspectacular .272 career batting average. It wasn't until the early 2000's--a few years after Evans was no longer on the Hall of Fame ballot--that the baseball community finally started to look past hits and batting average and recognize the importance of walks and on base percentage. During his career, Evans drew 1,391 walks and retired with an excellent .370 OBP and it is likely that, had the former Red Sox slugger appeared on the ballot just a few years later, his superb walk totals and OBP would have been enough to offset his batting average and make him a much more serious Hall of Fame candidate. What's more, during the latter part of the 2000's, sabermetrics as a whole started to come to the forefront as a way to measure player value. Teams like the "Moneyball" Oakland Athletics of the early 2000's and the 2004 World Champion Boston Red Sox proved that placing a focus on sabermetrics and undervalued stats like walks and OBP is an excellent strategy. Three websites: Baseball Reference, Fangraphs, and Baseball Prospectus each use sabermetric statistics to evaluate player value and apply their own formulas to calculate a player's values in hitting, fielding, and other areas. In fact, by each of these website's formulas, Evans is a much stronger Hall of Fame candidate than the BBWAA or the Historical Overview Committee ever gave him credit. Before delving into the specifics of Evans' Hall of Fame candidacy from a sabermetric standpoint, I chose to take a look at his candidacy from a strictly traditional view as most Hall of Fame voters would have in the late 1990's when he appeared on the BBWAA ballot. I decided to compare Evans to Dave Parker, Steve Garvey, Dave Concepcion, and Ted Simmons--the four hitters selected by the Historical Overview Committee for this year's Expansion Era ballot. 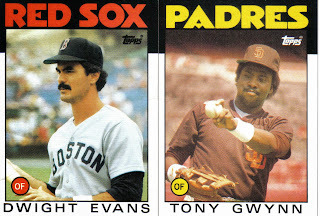 Parker, Garvey, Concepcion, and Simmons were each peers of Evans and started their careers within four years of his 1972 debut. I am also comparing Evans to Reggie Jackson, Tony Gwynn, Dave Winfield, and Andre Dawson--four Hall of Fame right fielders that played during the same time as Evans. 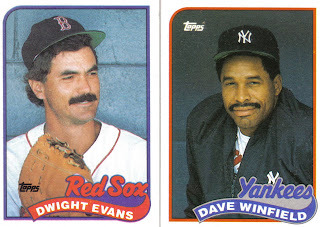 Winfield and Dawson--whose respective careers stretched from 1973 to 1995 and 1976 to 1996--were nearly direct peers of Evans while Jackson and Gwynn--whose respective careers spanned from 1967 to 1987 and 1982 to 2001--overlapped to a lesser degree with Evans. Dawson is a bit unique among the other right fielders because he spent the first seven years of his career as a center fielder, but I included him since he played more games in right. 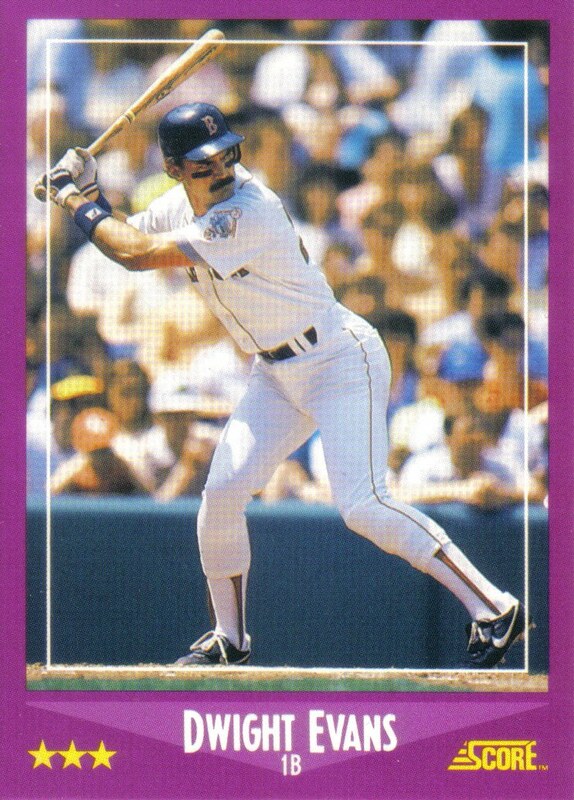 Also, many of the sabermetric stats use positional adjustments that give credit to Dawson for the games he played at the more difficult outfield position of center, thus allowing us to still make a fair comparison that not only includes "The Hawk" but also the Expansion Era candidates who played positions other than right field. On the table below which compares Evans' traditional stats to his peers on the Expansion Era ballot, I chose to include runs scored, walks, and OBP because, although those stats were greatly undervalued at the time, they are traditional statistics as opposed to sabermetric ones. And, since most BBWAA voters of the late 90's overlooked those three stats, I highlighted them in red. Based on their choices for the ballot, it appears the Historical Overview Committee favors candidates--like Garvey, Concepcion, and Parker--who lasted the full 15 years of eligibility on the BBWAA ballot or have a high career batting average and hit total. 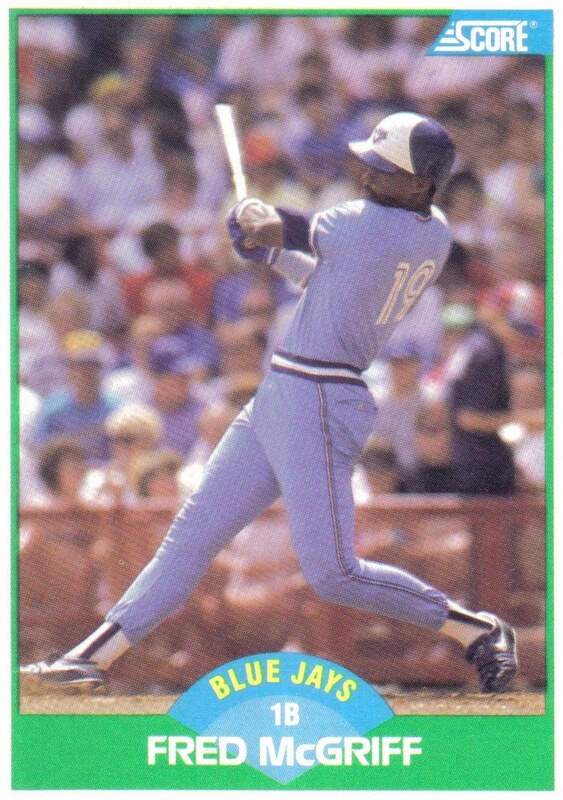 With a career .272 career batting average and 2,446 hits, Evans' career was underrated in comparison with many of his peers selected for the Expansion Era ballot. However, Evans drew more walks and reached base at a much higher clip than each of those hitters. Evans also trails his peers in the number of All-Star selections in part because his peers peaked offensively at a young age and became popular choices in fan voting or by Pennant-winning managers in charge of selecting the reserves for the "Midsummer Classic." 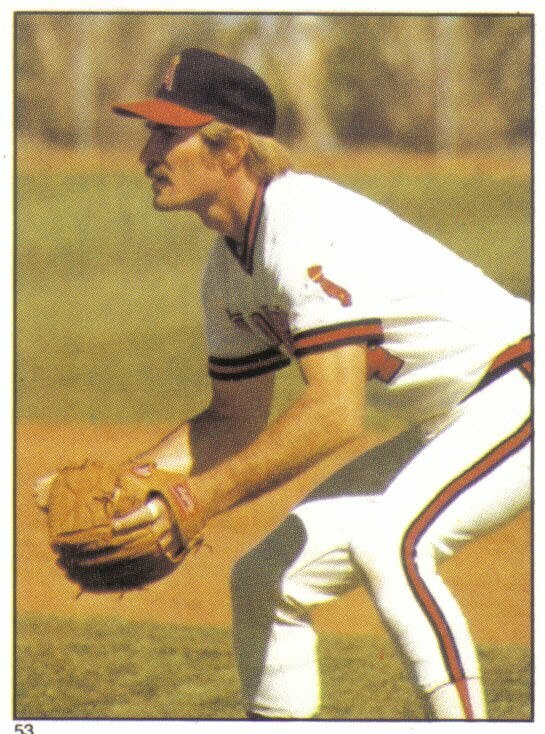 By contrast, Evans was known mostly for his strong glove and feared throwing arm during the first part of his career and had his best years offensively in his early thirties--at which point most fans and managers had already gotten an impression of him as a strong defensive player with an adequate bat and failed to realize just how great a hitter he had become. Evans may fall short to his peers on the Expansion Era ballot in batting average, hits, and All-Star selections but when his 1,470 career runs scored, 1,391 walks, and .370 OBP are taken into account--statistics most BBWAA voters did not consider in the late 1990's--it becomes clear that "Dewey" had the more Hall of Fame worthy career. Looking at their career stats, it is easy to see why Jackson, Gwynn, and Winfield were each elected to the Hall of Fame: Gwynn and Winfield both reached 3,000 hits--an automatic Hall of Fame milestone--while Jackson powered his way into Cooperstown by eclipsing a different Hall of Fame milestone: 500 home runs. By contrast, Dawson lacked the 3,000-hit or 500-home run milestones and unlike, Jackson, Gwynn, and Winfield was not voted into Cooperstown on his first try. In fact, it took "The Hawk" nine tries before he was finally elected. However, Dawson had reached the secondary milestones of 2,500 career hits and 400 home runs, which pretty much ensured him of eventual enshrinement into Cooperstown since at the time he debuted on the ballot every player to reach both of those milestones had been elected to the Hall of Fame. In addition, the BBWAA voters likely remembered Dawson defensively, as the speedy center fielder he was during the early part of his career rather than the sore-kneed right fielder he was in his latter days. As you can see, Evans falls short compared to his Hall of Fame peers on career milestones, though he just missed reaching the important 2,500-hit and 400-home run milestones. However, just like with the Expansion Era candidates, Evans' career looks much better in comparison to his Hall of Fame peers when career runs scored, walks, and OBP are taken into consideration. Of the three main websites that use sabermetrics, Baseball Reference offers the most user-friendly experience and has the most commonly used sabermetric statistics. Looking at the table below, we see how Evans ranks among his peers in several of Baseball Reference's sabermetric stats including their most popular advanced metric, Wins Above Replacement--often referred to as bWAR so as not to be confused with Fangraphs' and Baseball Prospectus' versions of the metric. Evans dwarfs the candidates from the Expansion Era ballot in each metric and his stats are much more comparable to the four Hall of Fame right fielders. Evans' impressive 66.7 bWAR total slots him third among his Hall of Fame peers--behind Jackson, in close quarters with Gwynn, and a step in front of both Dawson and Winfield. For the time period that Evans and his peers played, Baseball Reference uses total zone to calculate fielding runs. With 66 fielding runs above average, total zone shares the view of the managers and coaches who voted Evans to eight Gold Gloves Awards. By contrast, at 91 fielding runs below average, total zone questions the judgment of those same voters who awarded Winfield seven Gold Gloves. Under the popular OPS+ statistic, Evans' 127 total is in the neighborhood of both Gwynn and Winfield and a full stride ahead of Dawson. However, the statistic that may put Evans' underrated career in the best light is Wins Above Average, a metric in which his 32.6 career total is higher than, not only Dawson's and Winfield's but three times greater than Concepcion's and five times greater than Garvey's and Parker's career total! 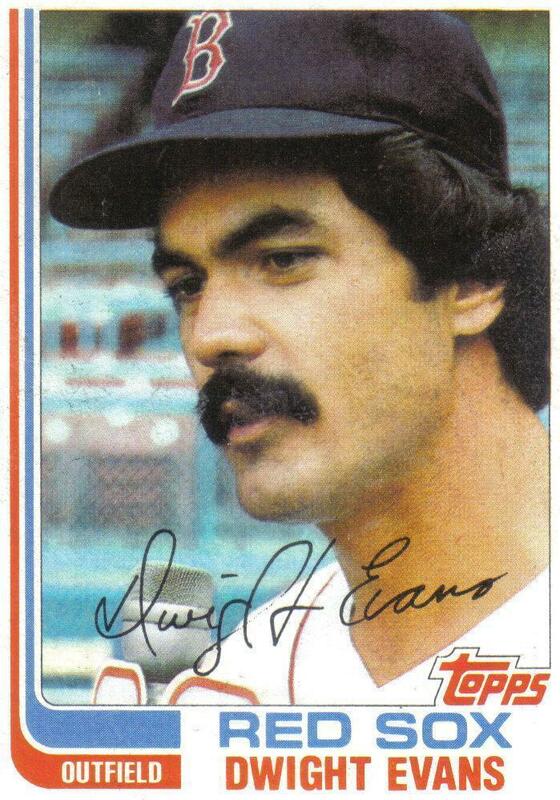 Overall, by Baseball Reference Position Player WAR, Evans is ranked 85th all-time. In addition, Evans ranks sixth in Position Player WAR for players still eligible for Hall of Fame voting but no longer on the BBWAA ballot--trailing only Bill Dahlen (45th), Lou Whitaker (48th), Bobby Grich (59th), Kenny Lofton (78th), and Graig Nettles (79th). Moreover, Evans' 66.7 career bWAR ranks him ahead of several Hall of Famers in Position Player WAR, including five who were elected on their first ballot--Willie McCovey (93rd), right field peer Winfield (96th), Willie Stargell (132nd), Kirby Puckett (177th), and Lou Brock (234th). The website Fangraphs has its own set of popular sabermetric stats and Evans again holds a healthy edge in each statistic over the Expansion Era candidates while stacking up well against his Hall of Fame right field peers. Fangraphs uses its own version of WAR, which is commonly referred to as fWAR. Under fWAR, Evans' 65.1 career total ranks him second among his Hall of Fame peers, just in front of Gwynn and comfortably ahead of both Winfield and Dawson. Since Fangraphs also uses total zone for the time period during which Evans and his peers played, their view of the player's defensive abilities mirrors that of Baseball Reference. One of the more universally recognized metrics Fangraph uses is wRC+ which is very similar to the OPS+ stat used by Baseball Reference. Fangraphs' wRC+ sees Evans in almost the exact light as Baseball Reference's OPS+, but places the former Red Sox right fielder close behind Gwynn and just in front of Winfield, while leading Dawson by an even larger margin than OPS+. Another one of Fangraphs' metrics that has gained attention is Weighted On Base Average, which combines batting average, on base percentage, and slugging percentage into a single metric that is set to the scale of OBP, with the league average being around .320. With an excellent wOBA of .375, not only is Evans well above average but he also leads each of his four Hall of Fame peers in this metric. Under fWAR, Evans is one spot ahead of his rank for Position Players under bWAR at 84th all-time and is fifth highest of the players still eligible for the Hall of Fame but no longer eligible on the BBWAA ballot--trailing Dahlen (40th), Grich (62nd), Whitaker (67th), and Nettles (81st) but unlike Baseball Reference, Fangraphs has "Dewey" ahead of Lofton (105th). 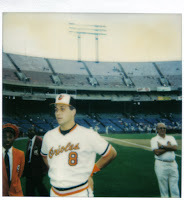 Additionally, Evans' 65.1 career fWAR ranks him ahead of many Hall of Famers in Position Player WAR including six who were elected on their first ballot--Ernie Banks (98th), Stargell (100th), Brock (257th), Puckett (233rd), and right field peers Gwynn (86th) and Winfield (121st). Like Baseball Reference and Fangraphs, Baseball Prospectus sees Evans as having a much more comparable career to his Hall of Fame peers in right rather than his peers on the Expansion Era ballot. Baseball Prospectus uses the acronym WARP rather than WAR for their main sabermetric statistic. By WARP, Evans' 69.4 total is smack in the middle of his Hall of Fame peers, this time slightly behind Winfield but with a healthy lead over Gwynn and Dawson. Rather than using total zone in calculating their Fielding Runs Above Average metric, Baseball Prospectus focuses on the number of plays made compared to the average number of plays made by a player at said position. Under FRAA, Evans is not only regarded as a more valuable fielder than each of his Hall of Fame peers but the metric also discounts Dawson's fielding in comparison to total zone. Another interesting stat Baseball Prospectus uses is True Average which measures a player's total offensive value and translates the data into the familiar and easy-to-understand scale of batting average, under which a .260 total is considered a league-average figure. With an impressive True Average of .294, Evans is comfortably ahead of Dawson and just a few points behind Gwynn and Winfield. Unlike Baseball Reference and Fangraphs, Baseball Prospectus only calculates their WARP data back to 1950. Due to this, at 34th all-time, Evans ranks much higher in Position Player WARP than in Baseball Reference and Fangraphs WAR. In addition, WARP ranks "Dewey" second highest--behind only Darrell Evans (31st)--for position players eligible for the Hall of Fame but no longer on the BBWAA ballot. Moreover, the former Red Sox right fielder's 69.4 career WARP is higher than essentially a full starting line up of nine first ballot Hall of Famers--Johnny Bench (35th), Eddie Murray (50th), McCovey (57th), Ozzie Smith (61st), right field peer Gwynn (63rd), Banks (76th), Stargell (92nd), Brock (104th), and Puckett (111th). By viewing Evans' career under sabermetrics rather than just by traditional statistics and milestones, we see that Evans is a much more worthy Hall of Fame candidate than the BBWAA voters of the late 1990's or the present day Historical Overview Committee realized. 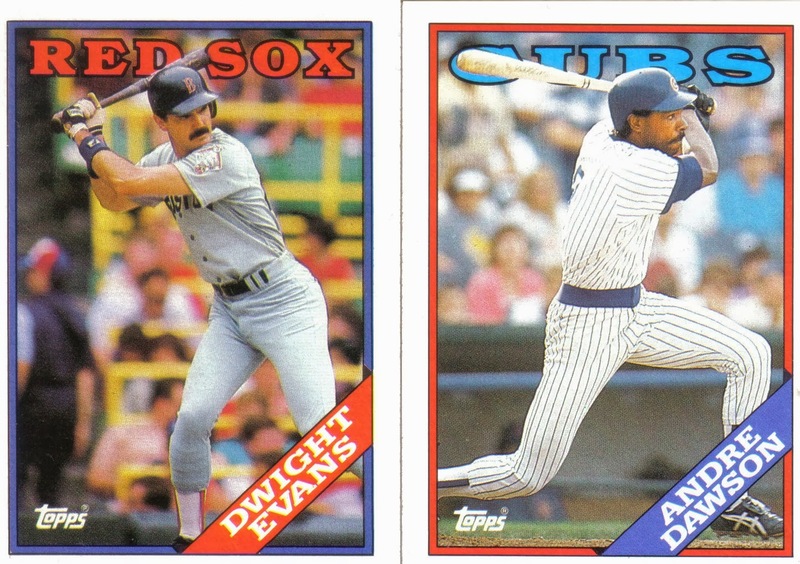 In comparison with the four hitters on the Expansion Era ballot, Evans' impressive career dwarfs each of them sabermetrically--leading them in all 14 advanced statistical categories--making it clear that "Dewey" is a much better Hall of Fame candidate. In addition, when matched up sabermetrically against his four Hall of Fame right field peers, Evans is on par with Winfield and Gwynn, leading the former in both career bWAR and fWAR and the latter in fWAR and WARP, while also leading Dawson in all three Wins Above Replacement metrics. Moreover, Evans leads each of his right field Hall of Fame peers in wOBA and FRAA, while ranking high among them in several other metrics. One can only hope that when devising future Expansion Era ballots, the Historical Overview Committee will look past career batting average, hits, All-Star selections, and decades old BBWAA voting and take a long, hard, fresh look at overlooked stats such as runs scored, walks, and OBP, as well as sabermetric stats used by Baseball Reference, Fangraphs, and Baseball Prospectus. While it is true that during Evans' career he was not as celebrated a player as his Hall of Fame right field peers and he retired shy of certain statistical milestones, his strong performance in sabermetric stats show that the combination of his fine hitting and superb fielding make for a career worthy of not only a spot on a future Expansion Era ballot but eventual Hall of Fame induction.